Vladine Biosse had his share of suitors when he decided it was time to launch another comeback in late December, but there was only one promoter he genuinely wanted to fight for. The Cape Verdean super middleweight who rose to prominence as “Mr. Providence” under the promotional guidance of CES Boxing returns home Friday night when he ends a 21-month layoff on the undercard of the promotion’s 2018 season opener at Twin River Casino. Biosse (15-7-3, 7 KOs) faces Atlantic City’s Antowyan Aikens (11-4-1, 1 KO) in a six-round bout streaming on Facebook via FIGHTNIGHT LIVE, Biosse’s first fight since battling Peter Manfredo Jr. to a draw in May of 2016. “I’ve been with CES from the start and I felt it’s only right to finish out where I started,” Biosse said. “I had four other promoters that contacted me about fighting on their cards. Biosse, who turns 36 in June, isn’t here to just test the waters. He has a specific goal in mind. With 25 professional fights under his belt, he plans to reach 30 within the next two years, fulfilling a promise he made to his mother when he first stepped in the ring nine years ago. A former college football player for the University of Rhode Island, Biosse teamed with CES Boxing following his first pro fight and spent the next five years with the region’s leading promotion. Along the way, Biosse earned his U.S. citizenship and CES capitalized on his marketability as a two-sport athlete and embodiment of the American Dream, launching Biosse from an unknown regional fighter to a two-time winner on ESPN’s Friday Night Fights. “Mr. Providence” headlined some of the biggest fight cards with CES, defeating Joey Spina in 2012 in his breakthrough performance at Twin River and retaining his New England Super Middleweight Title more than a year later in a controversial draw against regional rival Rich Gingras, a fight in which Gingras was originally announced the winner due to a scorekeeping error. Following the Gingras fight, Biosse spent the next year capitalizing on his prior success, facing the best of the best in the super middleweight division. Over the span of 12 months, he battled J’Leon Love, former unbeaten WBC Silver Super Middleweight Champion Callum Smith, current IBF Interim World Super Middleweight Champion Andre Dirrell and former amateur world championships bronze medalist Sergiy Derevianchenko in succession, a stretch unmatched by any other 168-pound contender. He appeared to reach the end of his rope in 2015 when he returned to Twin River and lost a unanimous decision to Chris Chatman, but Biosse never doubted he’d be back, not even when CES reached out on two week’s notice with the opportunity of a lifetime against Manfredo Jr. after Angel Camacho withdrew due to a foot injury. “I had no doubt going into that fight. I knew what I had left in my tank,” Biosse said. “I’m always honest with myself. If I don’t have it, I don’t have it, and I’ll never push it any further than what I don’t have. But when I have it, I don’t care who it is, I will argue to death I have it. “Taking that fight on short notice, I knew I had it. I knew it was right. Peter Manfredo is a name that rings bells in Rhode Island and makes a lot of noise in Rhode Island. Taking that fight on short notice, people said, ‘What the hell are you doing?’ We competed. I thought I won that fight and I’m not the only one who thought I won that fight. The whole crowd thought I won the fight, even some of Peter’s fans. The outpouring of love in recent weeks has been hard to ignore. Biosse was a fixture at Twin River in his recent prime, fighting in Rhode Island 13 times during a four-year stretch between 2009 and 2013. 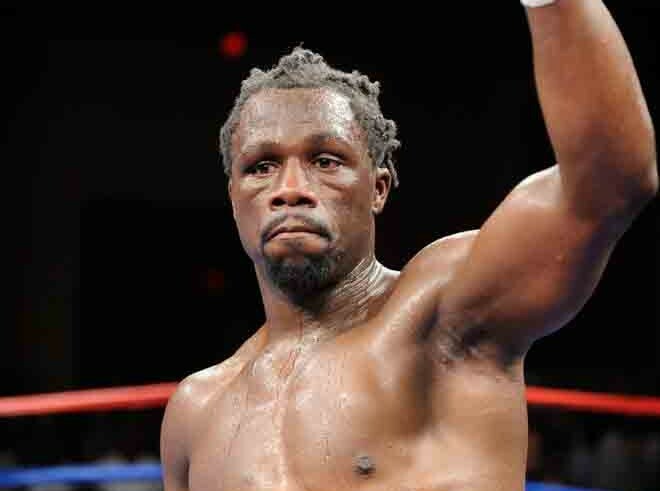 At 36, the odds of reaching 30 fights may seem long, but Biosse is a late bloomer as far as boxing is concerned. He only fought 14 times as an amateur and didn’t fully invest in the sport until a knee injury derailed his football career at 23. “What a lot of people don’t understand is I’m young in this sport. I might be the age where a lot of people think, ‘He’s done,’ but I started at the age of 23 when a lot of guys my age started when they were six. That’s why I’m young. I have less miles. As he prepares to rev the engine one more time Friday night, Biosse is finally back in his comfort zone, back in Providence, the city that has given him so much and the city he’s filled with so much joy and pride through the years. The goal is 30 fights, but with less wear and tear than most fighters his age, the future is limitless for Biosse. Ray Oliveira Jr. (9-1, 1 KO) of New Bedford, Mass., faces New Haven, Conn., veteran Edwin Soto (11-2-2, 4 KOs) in the eight-round main event for the vacant World Boxing Union (WBU) Canadian-American-Mexican Super Welterweight Title. Hard-hitting Sicilian heavyweight Juiseppe Cusumano (13-1, 11 KOs) stars in the six-round co-feature in his toughest test to date against Pittsburgh’s Fred Latham (9-1-2, 5 KOs) and junior welterweight Anthony Marsella Jr. (7-0, 4 KOs) of Providence returns for his seventh consecutive fight at Twin River in a six-round bout against Cancun, Mexico native Israel Villela (6-8, 2 KOs). Undefeated prospect Jamaine Ortiz (7-0, 4 KOs) of Worcester, Mass., faces Laredo, Tex., veteran Victor Rosas (9-7, 3 KOs) in a six-round lightweight bout. Regional rivalries highlight the preliminary card, starting with Johnston, R.I., junior welterweight Nicky DeQuattro (2-0, 1 KO) making his Twin River debut in a four-round bout against Carlos Galindo (0-0) of Lima, Peru. Providence lightweight Michael Valentin (3-0, 1 KO) puts his unbeaten record on the line against Demetrius Wilson (2-4) of St. Louis, Mo., and Springfield, Mass., welterweight Miguel Ortiz (2-1, 1 KO) faces Wilson Mascarenhas of New Bedford, both in four-round bouts. Providence featherweight Ricky Delossantos (3-0) aims for his fourth consecutive win in a four-round bout against New Bedford’s Efren Nunez (0-1). Taunton, Mass., native Marqus Bates (2-2, 2 KOs) battles welterweight Latorie Woodberry (1-5) of Roanoke, Va., in a four-round bout.